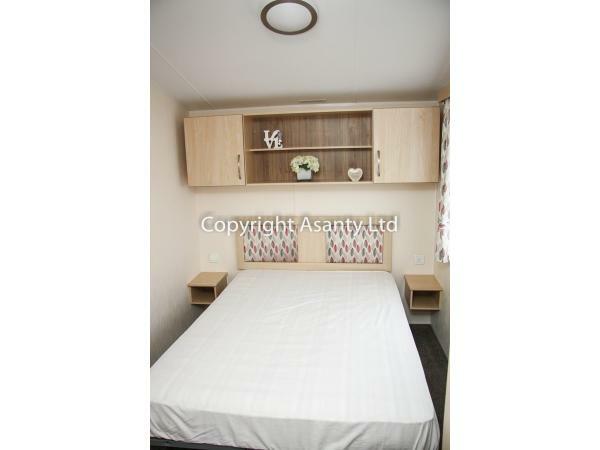 Make/model: Willerby Rio Gold (2015), 12ft x 37ft, 3 bedrooms( en-suite in master bedroom), sleeps up to 8. A refundable £75 deposit is payable within the booking once dates are confirmed. This is to protect against major breakages and is returned with 1 week once if the caravan being inspected. The full balance is then due at least 3 weeks prior to your holiday. For bookings made within 21 days of arrival, full payment is required on booking. If you wish to alter your booking details in any way from those shown on your booking form please contact caravan owner directly. 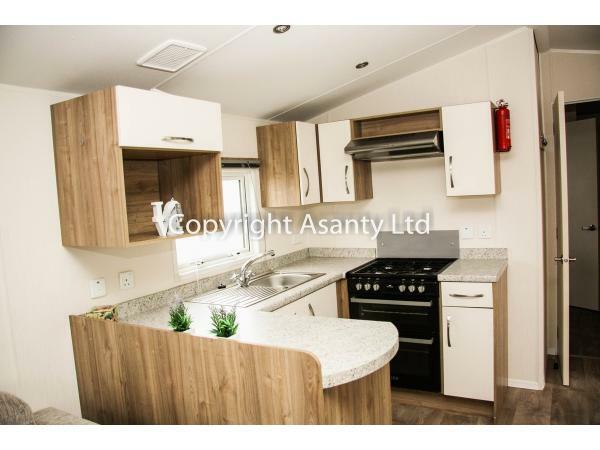 GREAT FOR LONG STAY AND BIG FAMILIES Holidays This is a privately owned and beautifully presented Willerby Rio Gold caravan just few seasons old. Located conveniently just a short walk from the entertainment centre. 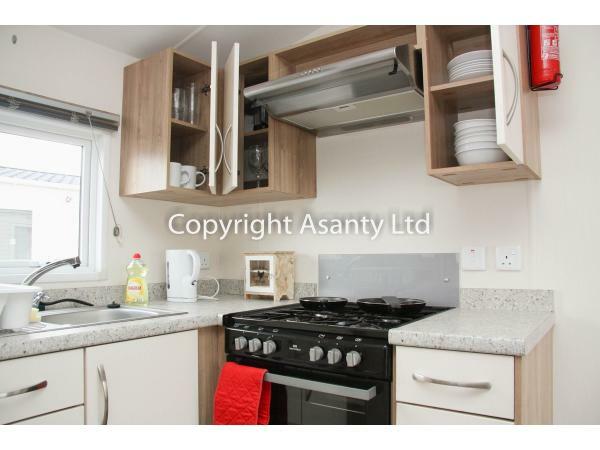 It is situated on a grassed area with off road parking space. 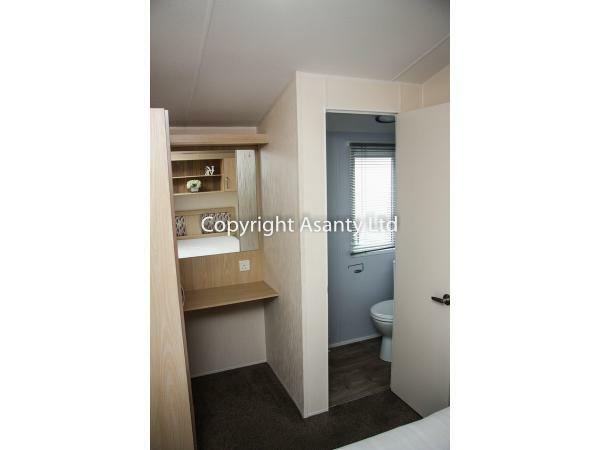 The caravan is double glazed and has a spacious lounge area. 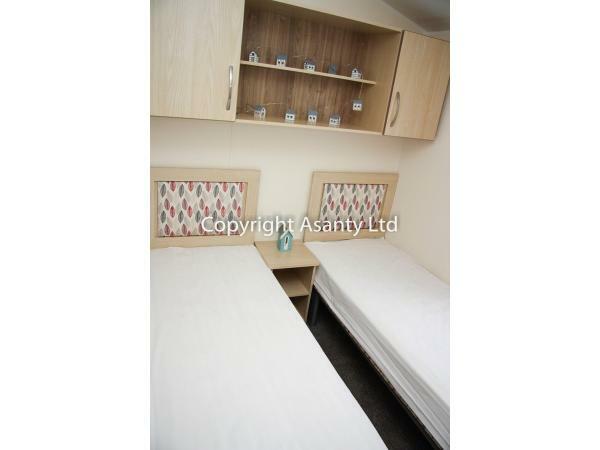 There is 1 double bedroom (en-suite) and 2 twin bedrooms (guests can push the single beds together to make a double if desired) and an additional pull out double bed in the lounge. 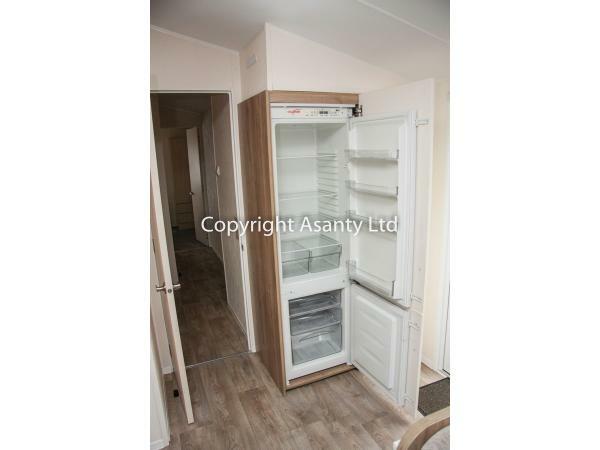 The kitchen has a full-sized oven & hob & full-sized fridge/freezer, microwave. There will be new TV on your arrival. 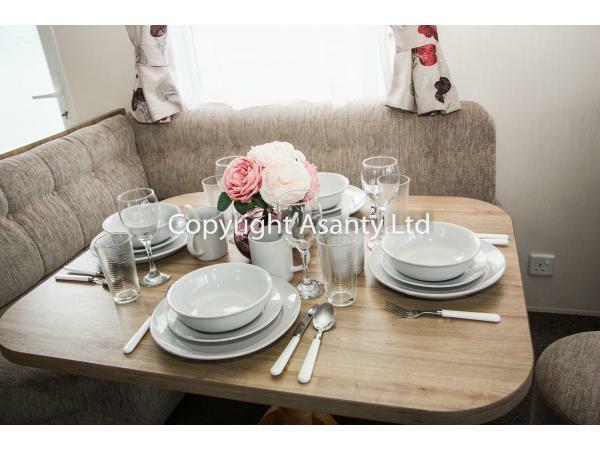 We do also provide different sized plates; glasses and a variety of cooking utensils are provided. Water, gas & electric is included in the price. The caravan is fitted with smoke and carbon monoxide alarms. I do provide blankets and pillows for 8 persons; however, you would need to bring your own bed linen.Guests will need to bring their own sheets, quilt covers and pillow cases, towels and tea towels. An additional £75 deposit will be required with all bookings against damages & breakages. This will be returned within 5 working days of inspection of the caravan provided all is in order, but typically we are refunding within 48 hours. 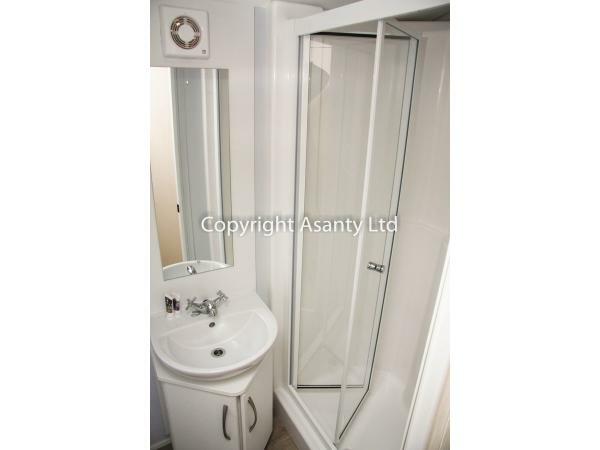 All lettings must include a responsible adult of at least 25yrs. Please Note There is a strict no pets and no smoking policy at this caravan. 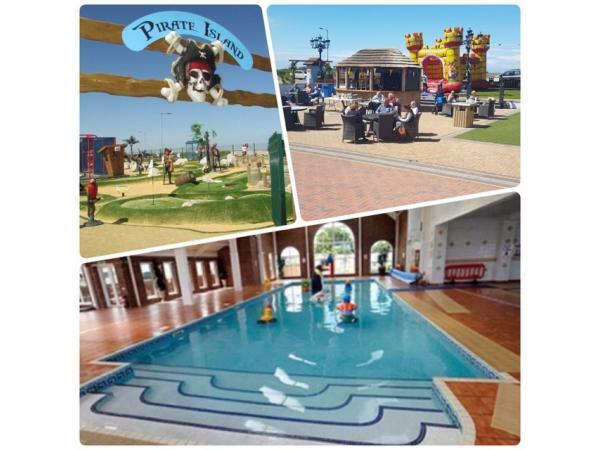 Lyons Robin Hood Holiday Park is located right across the road from large sand & pebble beach. This site is a child's dream, indoor swimming pools, play areas, Teens club-no parents allowed (Xbox and Ps4 games included, amusement arcade, bouncy castles, soft play area for toddlers, restaurant, sports bar for the adults, O'Neills cabaret bar for adult entertainment, supermarket and take away serving fish and chips and pizza.. The town of Prestatyn with shops, pubs and restaurants is a 4 minutes’ drive from the entrance of Lyons and Rhyl 5 minutes the other way. Additional Info: Lyons Robin Hood Holiday Park is located right across the road from large sand & pebble beach. This site is a child's dream, indoor swimming pools, play areas, Teens club-no parents allowed (Xbox and Ps4 games included), amusement arcade, bouncy castles, soft play area for toddlers, restaurant, sports bar for the adults, O'Neills cabaret bar for adult entertainment, supermarket and take away serving fish and chips and pizza.. The town of Prestatyn with shops, pubs and restaurants is a 4 minutes’ drive from the entrance of Lyons and Rhyl 5 minutes the other way.